Athletes from across the city of Chicago competed in a variety of both Basketball Teams and Individual Basketball Skills competitions for the chance to win the Gold Medal and advance to the State Basketball Tournament in March! 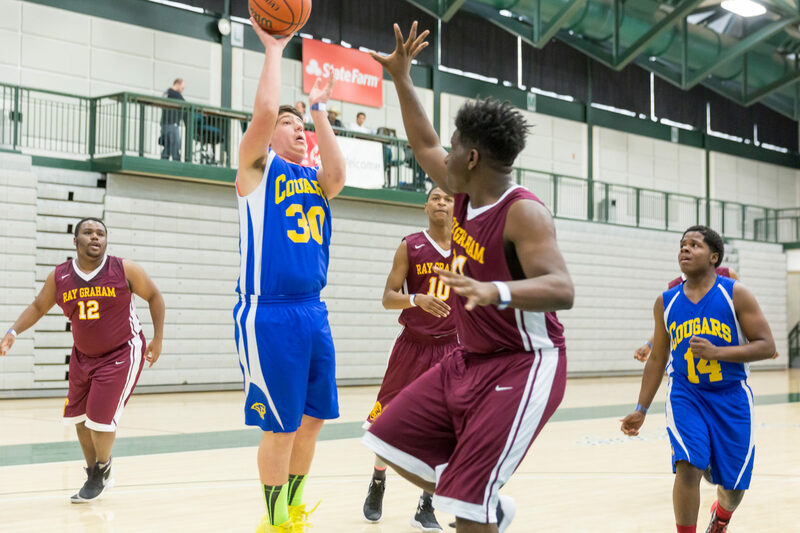 Area 3/Chicago hosted 8 days of basketball competitions, which allowed approximately 2,000 Chicago athletes to compete. Athletes were divided by both age group and regional location to accommodate the growing participation numbers in the sport and allow for quality competition at all events. These events would not have been possible without the substantial support of volunteers! The facilities that hosted these various events were also beyond accommodating and welcoming to our athletes, coaches, volunteers, and fans! Thank you to University of Chicago, Quest MultiSport, DePaul University, Illinois Institute of Technology, The Kroc Center, and Northeastern Illinois University for the continued support and generosity. And thank you to Jackson National Life Insurance for their contribution to support Special Olympics Illinois Area 3/Chicago basketball competitions! Congratulations to all Chicago athletes who competed in Basketball this year! Approximately 300 athletes from 30 different Chicago delegations will be heading to Normal, Illinois in March to compete in 2017 State Basketball! Best of luck at the State Basketball Tournament!